You are currently browsing the tag archive for the ‘Whitney Biennial’ tag. The great Jerry Saltz, who has been a tireless champion for gender equality in the visual arts, has done his best with the 2010 Whitney Biennial: 52 percent women! Regina Hackett at Another Bouncing Ball and Jerry himself at New York Magazine. Museums using new media: Some are farther along than others. Judith H. Dobrzynski at Real Clear Arts. On that same topic, if you are not familiar with Art Babble, time to discover this great site. An online celebration at the New York Times of the remarkable Wim Wenders film, Wings of Desire. Leave your comment. I did. The long term costs of the recent (and now ended) era of museum expansion (AKA “the Bilbao effect.”) Robin Pogrebin in the New York Times. Blogger extraordinaire Maureen Doallas has highlighted me and my work in a posting that left me feeling speechlessly honored. Writing Without Paper. 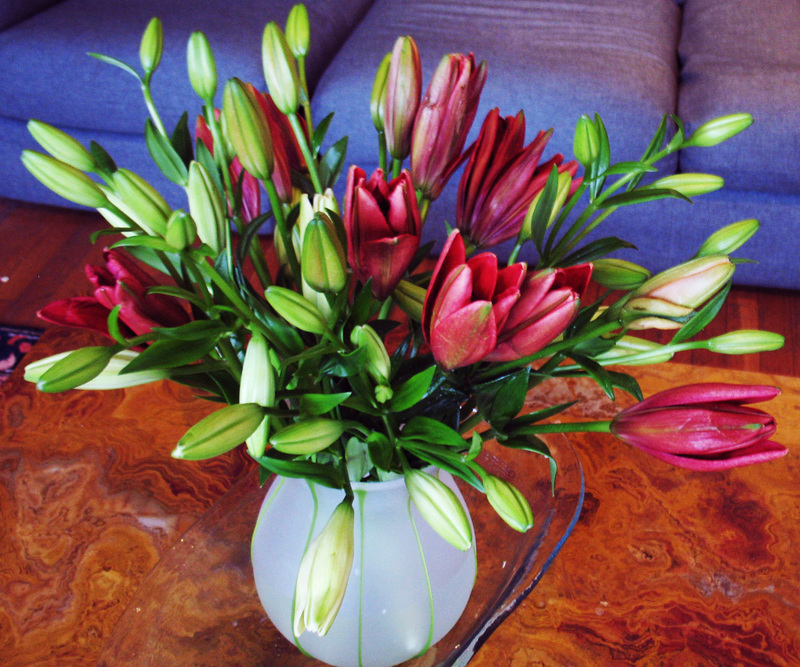 And I can’t end today without thanking my children for sending us a sumptuous bouquet of Peruvian lilies. Thirty years ago Dave and I began this joint adventure called partnership, and the three extraordinary humans who came about because of that decision so long ago are and will always be the most miraculous gifts of my lifetime.